KOKZ FURSDAY: This is “Thunder” You Will Like!!! Every pet has a story. This gorgeous cat has an interesting one and really deserves a happy chapter!!! His name is Thunder. This guy was saved by someone who deserves a medal for STOPPING TRAFFIC and rescuing him before something really bad could’ve happened. 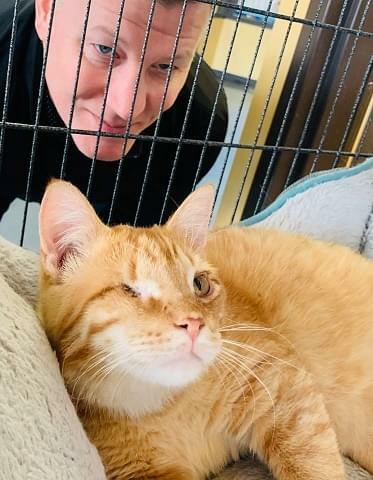 He was very close to death when he was dropped off but the incredible staff at the Cedar Bend Humane Society nursed Thunder back to health while providing a lot of love and encouragement.